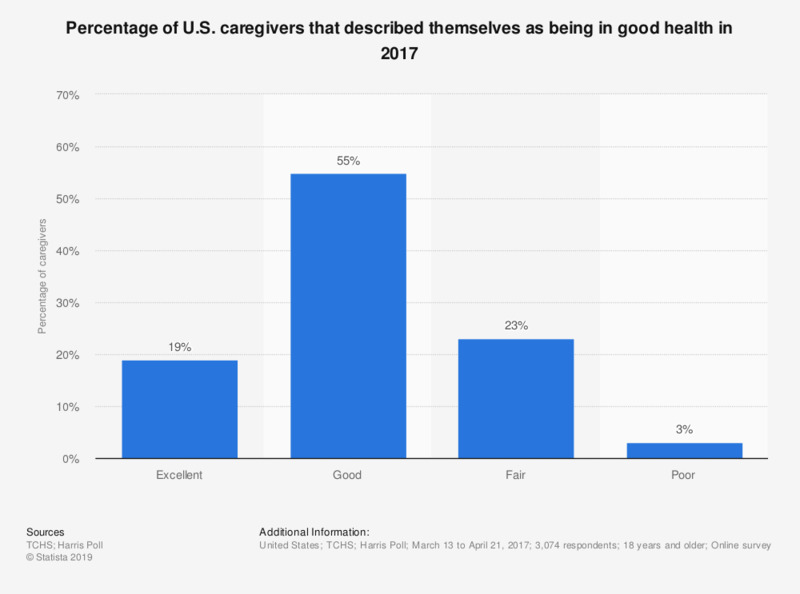 This statistic displays the the percentage of U.S. caregivers that felt their state of health was good as of 2017. According to the survey, over half of respondents indicated that they felt their personal health was good as of 2017. Original question: "Overall, how would you describe your general health?"